Father Iwashita, who was Shinseikaikan’s first director, made a conscious effort to shape people in the Christian way through the practice of faith and worked toward nurturing youths and works of love at Shinseikaikan. 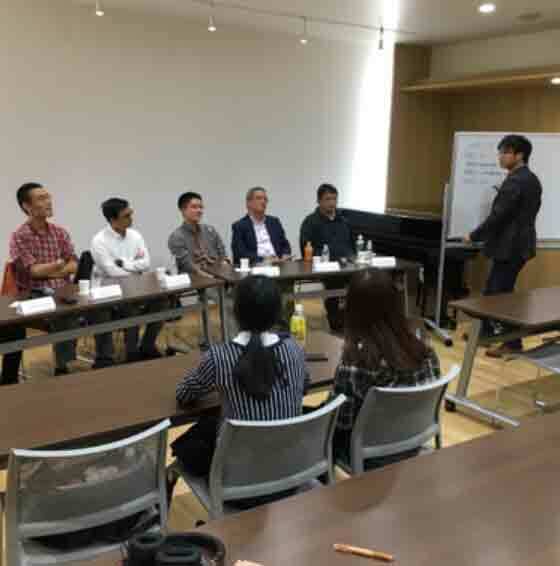 Even now, Shinseikaikan aims to build the character of youths and adults throughout their lifetime in a true sense, keeping in mind the attitude of offering silent support to the weak; Shinseikaikan’s lectures are planned in accordance with this principle. 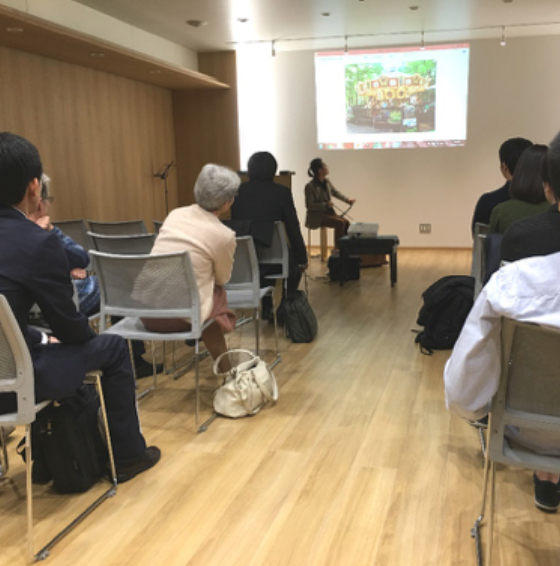 Mr. Yoshimitsu, a friend of Father Iwashita’s and the second director of Shinseikaikan, thought that the future of the “Christian culture” lay in the blossom of the spirit of Christianity striving toward the universal truth, which blooms in Japan in the current era. 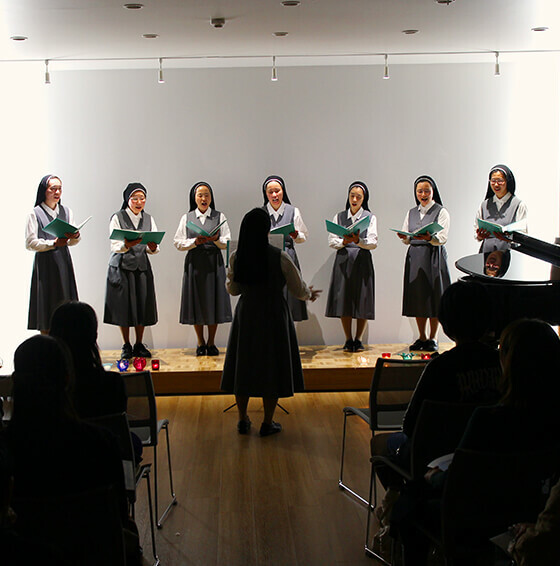 Shinseikaikan will organize events so that art, music or literature based on Catholic culture may be communicated to and understood by as many people as possible. Furthermore, such events will provide people in modern society, who suffer pain or feel a sense of fatigue, with a moment of healing. 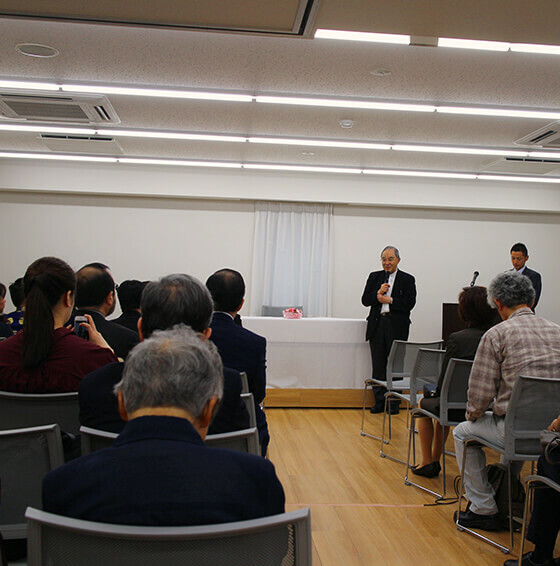 Shinseikaikan held an essay contest awards ceremony as one of its opening events commemorating the completion of the new Shinseikaikan and provided the winners with an opportunity to present their essays. Wakage is a forum where Catholic youths or those who are interested in Catholicism get together and communicate with each other. We carry out activities from Monday through Friday at the Shinseikaikan Building, a one-minute walk from JR Shinanomachi Station. We update information on weekday plans, such as a luncheon or dinner party to name but a few; we would be happy if you check this out from time to time. This is the Wakage Shinseikaikan Catholic Student Center group on Facebook.